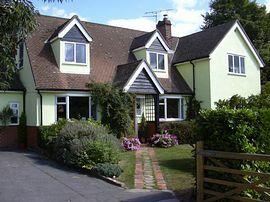 Westpoint is family run by Barbara and Doug Read; set in the heart of rural Essex with unhindered views over open countryside. 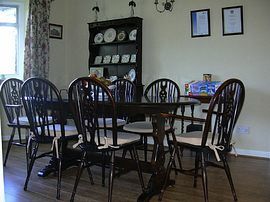 We offer comfortable accommodation in a relaxed and friendly atmosphere. Local produce is served for breakfast; you can choose a hearty full English or a lighter option. Ideally located for the Reid rooms and Maidens Barn. Early check-ins available to allow you to change before going to the wedding venue. If you are walking the Essex Way, we do offer transport to and from your stop off point. If you are on a cycling holiday then your bicycles will be safe in our garage over night. There is ample secure parking for cars. 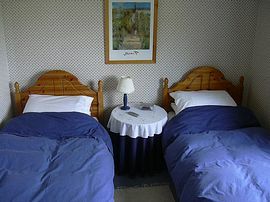 Bed and Breakfast Double or Twin £60.00 per night. 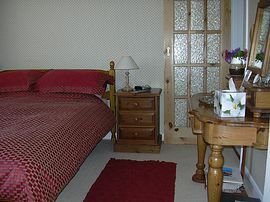 Single Occupancy £35.00 - £50.00. Smoking Facilities: Smoking is not allowed. Smoking is allowed in the garden area only. Special Diets Provision: Special diets are catered for. Please inform us of any dietary requirements when booking. "Excellent in every respect, so helpful and friendly. Beautiful house. Thank you so much." "First class. Many thanks wonderful hospitality." From Chelmsford take the A1060 to Leaden Roding, then B184 towards Dunmow. You will find Westpoint on the right half a mile from Leaden Roding.